How do you build the next big thing? And how much of being the next big thing is in your control? 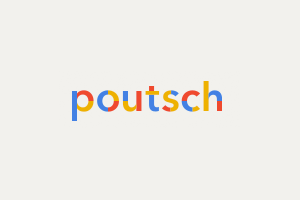 These are the questions that have been rolling around in my head since I heard about Poutsch, a new website and iOS app that is designed to be an easy, attractive, and slightly gamified way of making – and sharing – public opinion surveys. I remember the explosion of Twitter on the social media scene, and I also remember confidently telling people the same thing was going to happen with Foursquare. Well, I didn’t quite get that one right. And that’s when I started to reduce the number of predictions I made. 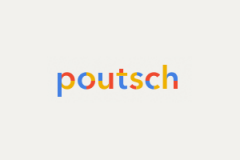 So I am NOT going to say that Poutsch is the next big thing, but it is an interesting enough utility that I got myself an interview with cofounder Felix Winckler. The idea, for Winckler and his cofounders Etienne Adriaenssen and Melchior Schölle, was born during the Arab Spring. They saw debates raging on various social media platforms, but there were precious few numbers that could be attached to those debates. First, traditional polls are kind of boring. You generally end up answering a list of questions on the same topic. Secondly, traditional polls are not really social – you don’t really know who the other people are and you can’t interact with them. And at the end of the day, the poll is not for citizens to express themselves, they’re more of a corporate way to take a picture of a small group of people’s opinion at a given time. They decided to create a site where you could ask one question at a time, structure those questions in a number of ways, and use the social and gamification tools we’re all familiar with to make the process of asking and answering questions fun and (dare I say it) viral. And where this tool gets really cool is when you use their widget to embed a question in your site (same way you would a YouTube video), any re-embeds don’t go back to Poutsch, they go to YOUR site. That’s nice, because it drives traffic to you, not to them. According to Winckler, they are: First, maintaining the growth we are having currently, which would be a nice thing, and more importantly, building use cases for the platform, having more publishers using the platform, political parties, activists. So now here’s the question: What’s the proper trajectory? Is the only way to grow explosively? 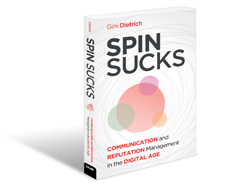 Are companies that build and grow more gradually risking being ignored or discounted? Or are they the ones with better long-term prospects? P.S. We’re just a little more than a week away from our free webinar with email marketing genius, DJ Waldow. 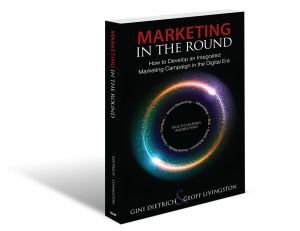 Join us on Thursday, July 25 at 11 a.m. CT. Register by clicking here.